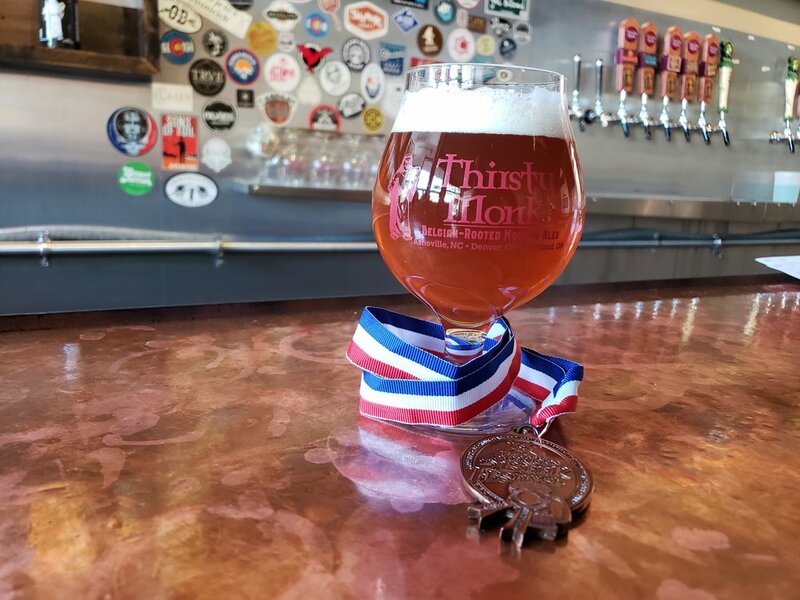 DENVER, CO— Thirsty Monk, brewer of Belgian-Rooted Modern Ales and operator of world-recognized craft beer and craft cocktail bars, was awarded a bronze medal for its Denver-brewed flagship Abby Blonde Ale in the Belgian and French-Style Ale category at the largest Great American Beer Festival® yet. This is the brewery’s first GABF award and Abby Blonde’s second medal this year. Named after the brewery owner’s youngest child, Abby Blonde is a classic Belgian Style made with Franco-Belges Pilsner malt, wheat, and traditional sugar. Weighing in at 7.3% ABV, this slightly hazy, golden brew was fermented with Thirsty Monk’s in-house Belgian yeast strain, offering a plethora of flavors including banana and light clove. “I am so proud of Brian, Norm, and Chris, our lead brewing team, and the entire Monk staff for their constant representation of our beers to our patrons. We are so honored to be recognized for our Abby Blonde this year,” continues Bialik. For more information about Thirsty Monk or Abby Blonde, contact Emily Hutto at coop@radcraftbeer.com. Founded in 2008, Thirsty Monk currently operates three locations in Asheville, North Carolina including Thirsty Monk Downtown, Thirsty Monk Biltmore Park, and Top of the Monk Craft Cocktail Bar; and Thirsty Monk Denver, CO and Thirsty Monk Portland, OR. The brewery family has been the recipient of several beer awards just this year, including a gold medal in the Belgian-Style Table Beer category in the Best of Craft Beer Awards and gold and silver medals at the US Open Beer Championship. Find the company online at monkpub.com.